Save 10% when you buy 2 or more. We created a simple cup design focused on what matters: cleanliness, ease of use, no leaks or spills. 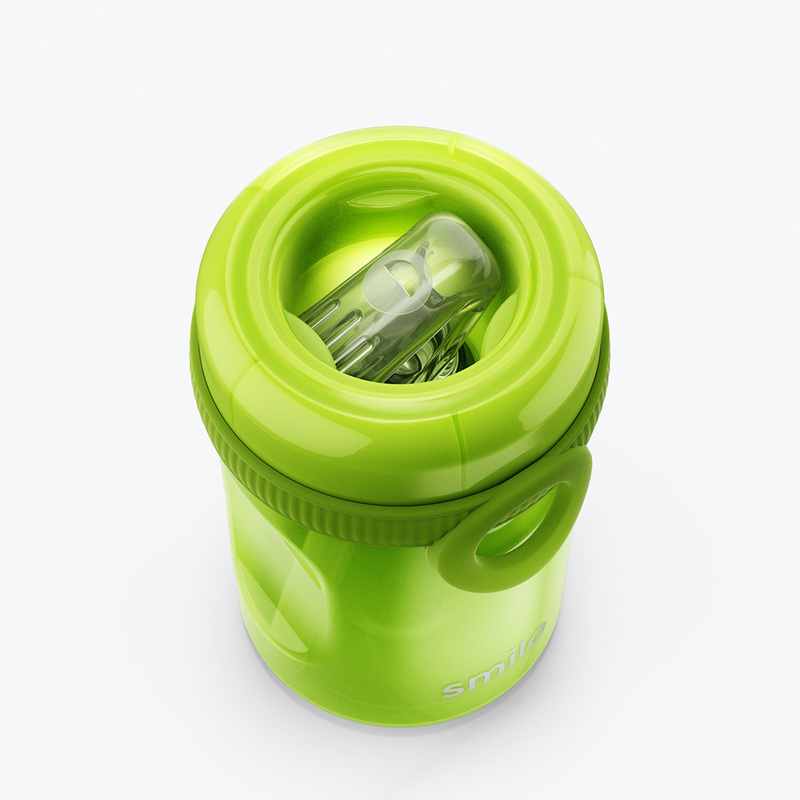 A simple design allows our sippy cup to fully disassemble, providing direct access to easily clean every part. 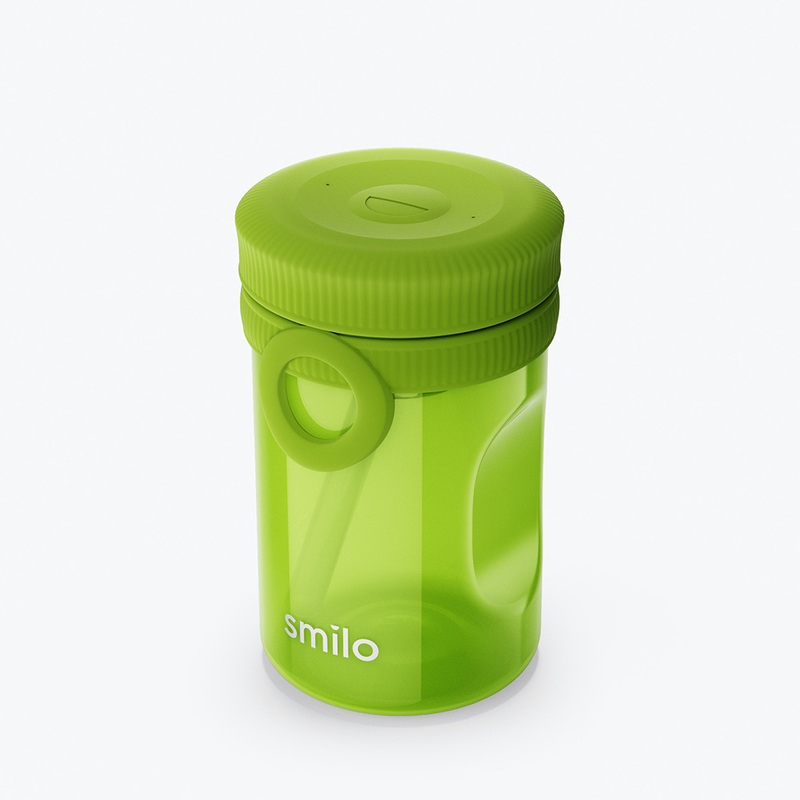 There are no hidden areas for dirt or mold to collect, a common problem with most sippy cups. The spout simply pulls through the screw cap and can be washed with soap and water. All components are top-rack dishwasher safe. 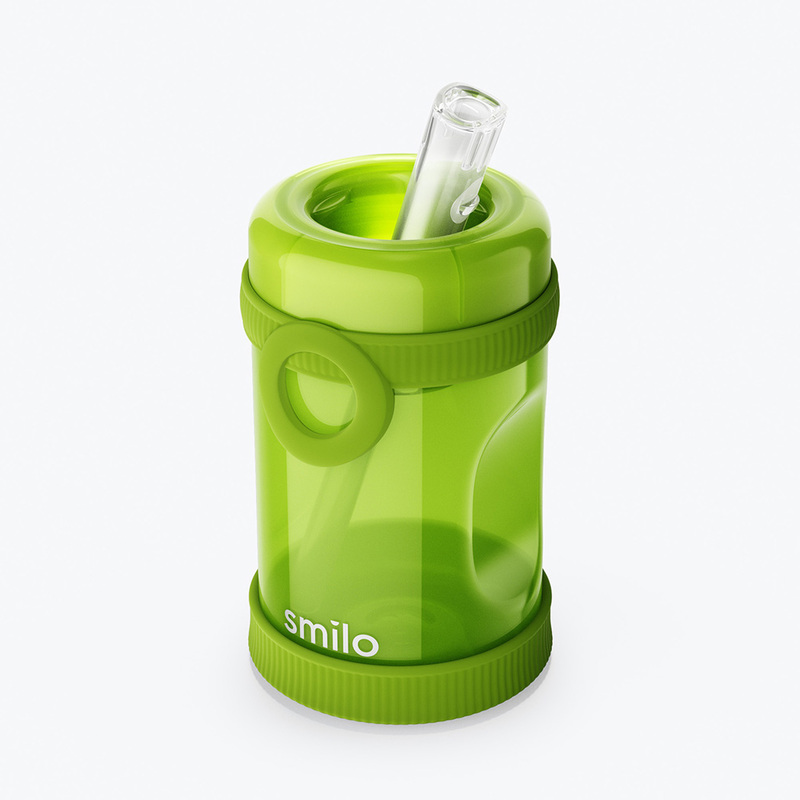 By eliminating the complexity in the spout design, we have created a simple yet effective drinking vessel for on-demand sipping. 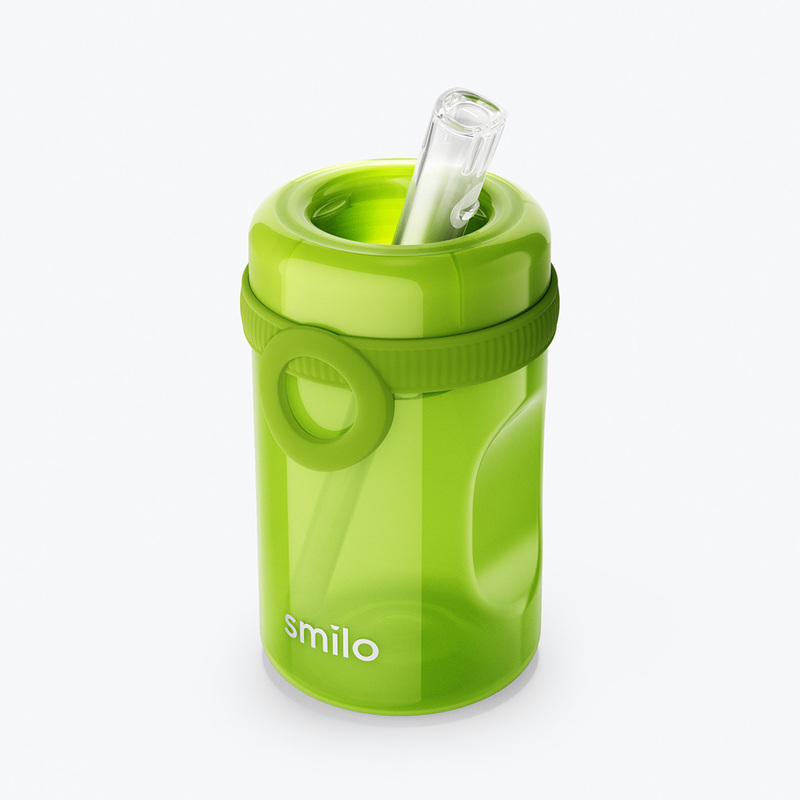 The cup can be used with or without the internal hard straw depending on your child’s preference. The unique folding spout is made of medical grade silicone and has a patented design to prevent leaks and spills. No messes here! 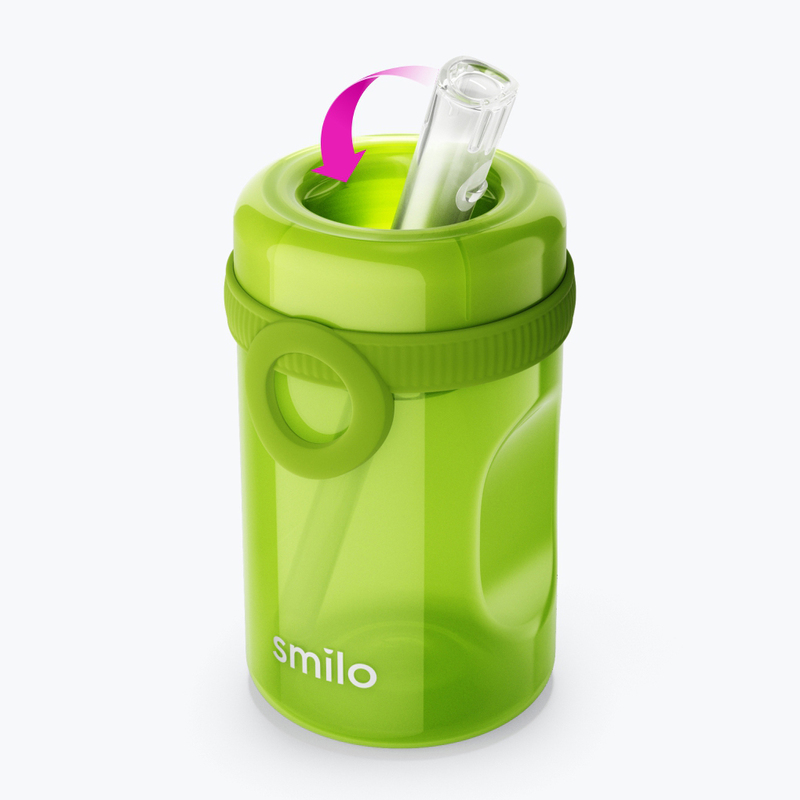 With the addition of our sippy cup, babies can easily transition from bottle to cup. 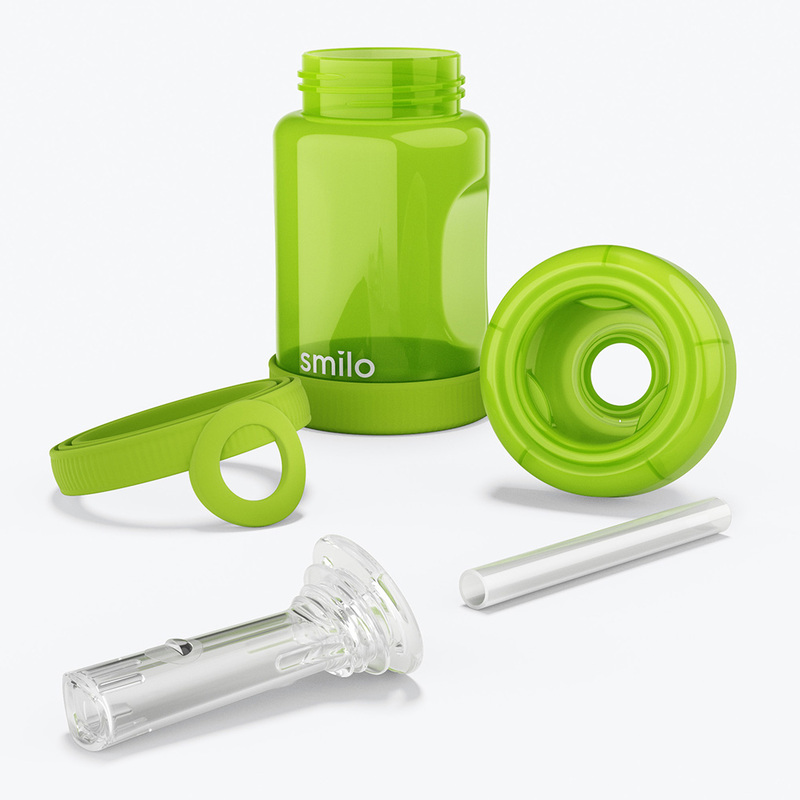 Every Smilo product is designed as part of a full suite of essentials that work together to meet your baby’s every need. With interchangeable parts, you can give your sippy cups a custom look! Extra spouts and straws sold separately.